We&apos;ve long been advocates of giving things a longer life. Fixing and repairing things helps reduce what we send to landfill. 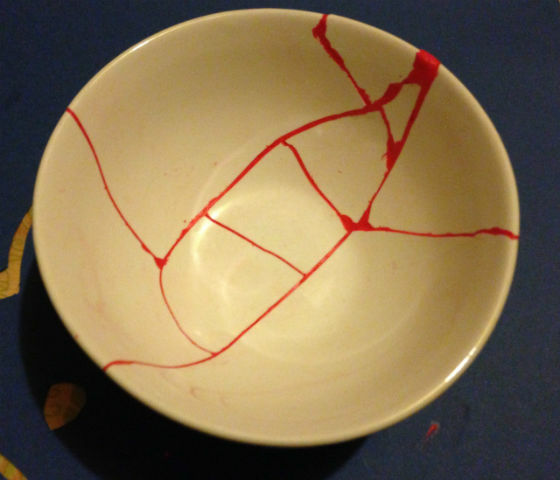 But what isn&apos;t always so obvious is how fixing a broken object can be an art form in itself, and even create something more beautiful - we like to think of it as the unsung hero of creativity. 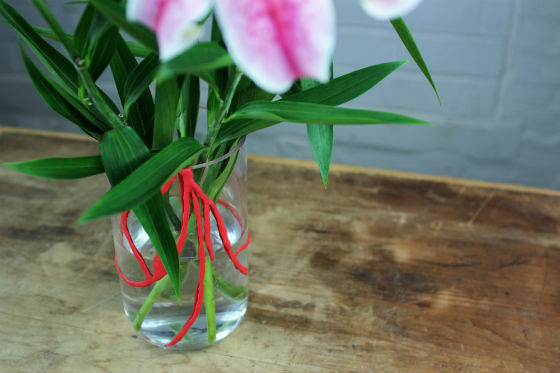 The reason Sugru comes in such bright colours is for exactly this reason. Loads of Sugru-ers celebrate the fixes and changes they make to their stuff - it gives them a sense of real pride! In a world where almost everything you buy is mass-produced, isn&apos;t it nice to have something that is totally unique because of its scars? With this in mind, here&apos;s some ways people past and present around the world have been practicing the art of beautiful repair. "When something is broken," says Klopper, "people dare to do new things." Helen Klopper created Woolfiller as part of a museum exhibition on sustainability. It was a hit, and when people started asking where they could buy it, she started making kits. (We love it so much it made it onto our alternative Christmas gift list). Woolfiller makes use of wool&apos;s natural, unique properties. It has minute scales that can be opened when pricked with a needle, and will automatically latch on to each other, creating bonded fibres where there was a hole. It is “simple, sustainable, and satisfying." 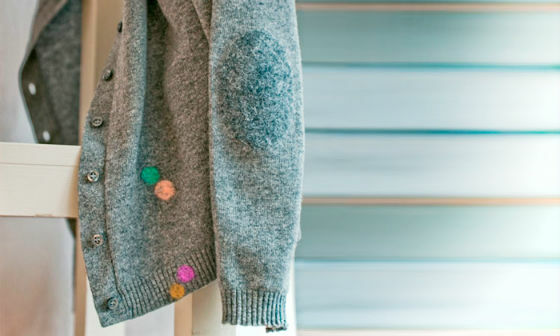 More than a very practical solution to tricky-to-mend holes, it&apos;s creative too. Most Woolfiller users don&apos;t colour-match their patches - they go for colours that stand out and transform their clothing into something new and unique. Ceramics stapling comes from a time when necessity and thrift meant that, for most, simply throwing away household items wasn&apos;t an option. 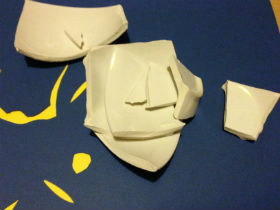 Around the world, metalsmiths would repair chipped and smashed ceramics with metal staples, made by drilling small holes and fitting in the staples to hold the pieces in place; no glue needed. Despite their Frankenstein&apos;s monster-esque look, these antiques are unique and often quite beautiful. Andrew Baseman&apos;s fascinating blog Past Imperfect documents his eclectic finds and his love for these ugly ducklings of the antiques world. Kintsugi, so the story goes, was born out of the 15th century Japanese Emperor&apos;s disgust at the ceramics stapling method above. 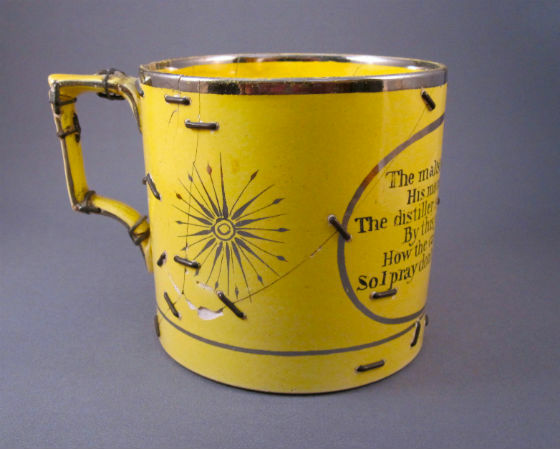 When a broken tea bowl was returned to him with metal staples, he commissioned some craftsmen to come up with a more delicate solution. 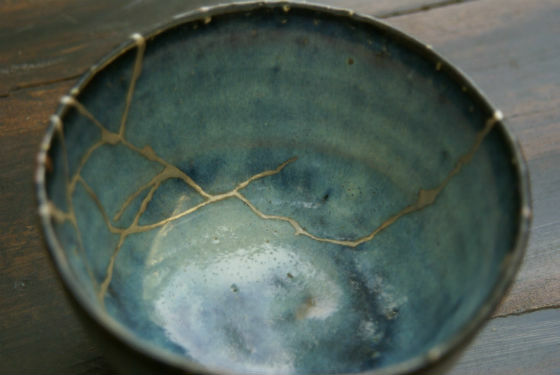 Broken pieces are glued back together with lacquer and gold powder, resulting in beautiful golden veins as seen in the picture above by DemysTEAfication. Dutch sisters Gieke and Lotte of Humade have created "New Kintsugi" repair kits, so you too can fix your pottery like a Japanese Emperor! In poverty stricken Japan, up until the mid 20th century, Japanese peasants would be unable to afford new textiles. Their response to this was Boro; a means of repair, of creating, and of using up waste. 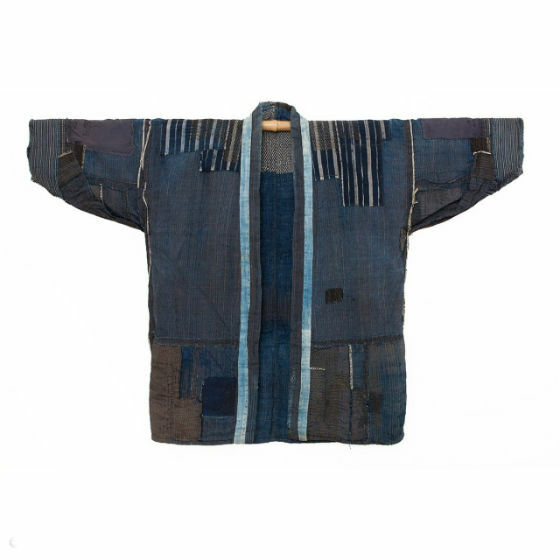 Clothes and other household garments would be repaired using leftover, indigo dyed cotton from other textiles. These garments would be repaired so often throughout generations, with so many different scraps of cloth, that they would slowly change into a new garment altogether. 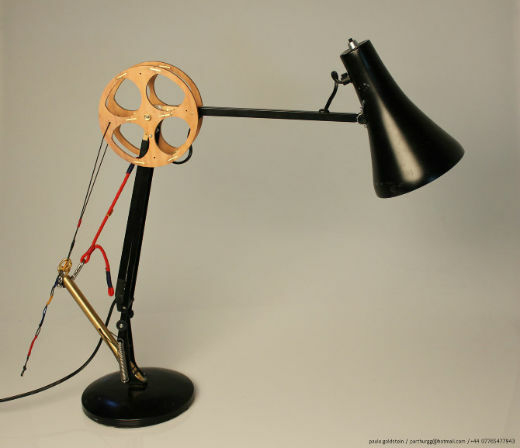 Paulo Goldstein takes broken objects and repairs them in unexpected ways; the outcome a series of Rube Goldberg-style contraptions that make up his Repair is Beautiful project. He explains - "In a time of uncertainty, taking things into our own hands and having the feeling of control back can be very therapeutic... Repair is Beautiful aims to give back this feeling of control." Roberto Ghiglia sent us this with the caption "repair a cup like an archaeologist". 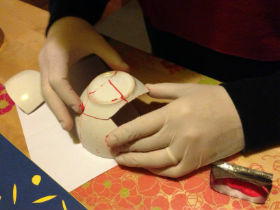 We love the archaeologist-style latex gloves, and the amount of care that&apos;s gone into it, as if it really were an ancient artifact. This vase has been in the office as long as most of us can remember, and there&apos;s some dispute as to whether it&apos;s actually beautiful or not. Either way, just like the examples above, the fact that someone at some point (no one can remember who) sat down and dedicated that much care, and pieced back together that many pieces of glass, makes it pretty awesome - conventionally beautiful or not.